Scenario: A room about 25' x 25'with 4 to 5 musicians playing. Common configuration of the percussionist on a slightly raised dais and the others in front, usual in a row, spaced out from one wall to the other; effectively take 24' of the available 25'. Camera is on a tripod about 15' away. What would be your pick for a wide angle lens that can capture all of the musicians (in other words, the entire 25' width of the room). thanks for your question about the best wide angle lens for group photography in a small space. Your description of the situation makes it sound like you have no choice but to go with any wide-angle lens that has a "super wide" setting. I don't know which camera format you have, a full-frame sensor camera like the 5D, 6D, or 1Dx series or a APS-C camera like the Rebel "t" series or 70d, 70d mark ii. If you a full frame, it's likely you'll need a 24mm lens or wider. With an APS-C sensor, you'll likely need a 16mm or wider. In either case, I'd be prepared with a zoom lens, so that you can vary the setting as you move around and shoot. 1. Try shooting from a corner. That gives you a little extra distance to fit everyone in. 2. Take a small, folding step stool so that you can get up high in a corner. That also increases your distance, but also cuts down on the strong difference in distances between the closet and farthest musicians in your photo. 3. Be prepared to use some lens distortion correction software afterwards. 4. Take some close-ups too. You or the musicians might be able to use them in another capacity somehow. p.s. I have a favor to ask of you. Could you let me or the other Canon Geek readers know how you everything turns out? The readers would love to learn from your experience and maybe even see one or two of the photos you get. It appears that the Canon 17-40 was a wide enough angle lens to capture everything. Most of the shooting was video, but I did take 1 still with the intention of posting it here, but I don't find a link for picture uploading. The clarity of this lens in this low-light setting is far better that I expected. Bruce, my camera is a 70D. Research of used lenses (locally on Craigslist) has found me an EF 17-40mm f/1.4L USM at about 35% off of the suggested retail price. As soon as my "shoot" is done, I'll report my findings to this thread. Can you tell which Canon camera is compatible with the Sigma lens? It is the older style Sigma lens by the way. Hi James, thanks for your question about the Sigma 400 f5.6. I have the Canon 400 f5.6 L lens and prefer to go with Canon lenses because I know there won't be compatibility issues. There are always possible (not definite) issues when a company like Sigma does a little reverse engineering in the auto-focusing mechanisms to get a third-party lens to work with a specific camera manufacturer's camera body. You can see this in some of the Canon forums. In a case like this I recommend you buy your lens or camera from a retailer or individual seller that has a great return policy. It's why I am a big fan of Amazon. You need to try out your specific lens and Canon camera combination and test it extensively. Lense question for a newbie! 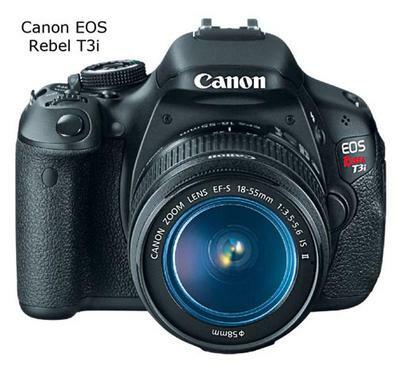 Hello, purchased my first "higher priced" camera recently- Canon EOS Rebel T3...finally! Any who I have a friend trying to sell me her Quantaray 67mm lense BUT has not clue if it will fit my camera! 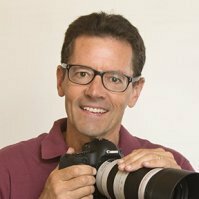 Hi Jacque, Thanks for your question about lens choice for your Canon T3. Your question brought a smile to my lips, as the very first telephoto zoom I used was a Quantaray 85-210. My Quantaray lens had a Minolta mount. My camera was the Minolta XD-11, an advance film SLR in the late 1970s. Third party lens companies like Sigma or Tamron or Quantaray (I haven't heard that name in 30 years) make lens with different mounting systems for the different camera bodies, like Minolta, or Nikon, or Canon. They are not compatible with each other. The Good news is that you are dealing with a friend. It will be a simple matter for you to try the lens first and see if it fits on your camera. That will be step one. Use caution, make sure everything lines up and do not force it. If you are lucky and it fits, step two will be to see if any of the functions work like auto focus and aperture control (f-stops). The "67mm" is likely the filter size and not the actual focal length of the lens. 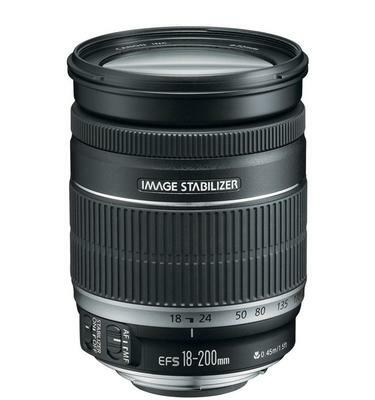 You might consider one of the Tamron lenses such as the 18-200mm. 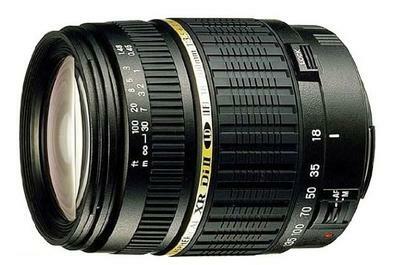 It is very affordable and the 18-200mm range covers everything from super wide angle to strong telephoto. 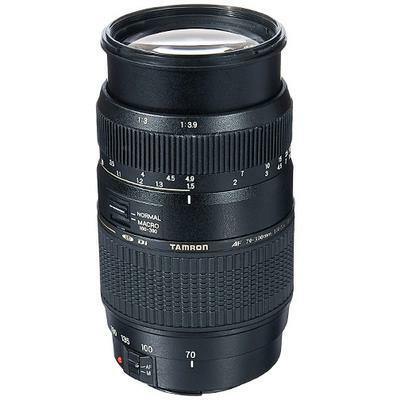 Tamron AF 18-200mm f/3.5-6.3 Macro Zoom Lens for Canon T3 . It also does a good job with macro photography. Congratulations, the Canon T3 was an excellent choice for you as a newbie. I read that the Canon 75-300 MM f/4-5.6 is one of the better all-around zoom lens, it's lacking IS and USM. 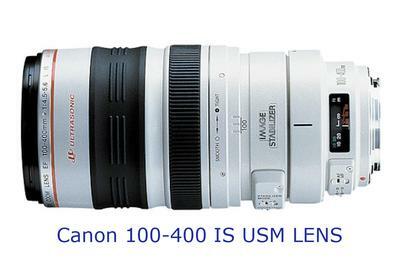 What would be your pick for a Canon zoom lens that has IS and USM? Thanks for your question about Canon camera lenses, Ellery. Sorry for the delayed response-I was at a photo boot camp in another state. The 75-300 lens you mention is extremely popular because of its super low price, but it does lack the image stabilization that is so popular today with photographers. I'll confess to you right up front that I am not a big fan of IS, and literally, almost never use it on the lenses that I own that have this feature. I prefer using monopods and/or tripods, and sometimes higher ISO settings to get a higher shutter speeds to get image sharpness. Many beginning photographers make the mistake of thinking that IS is good for moving objects, which it is highly NOT recommended. With my disclaimers out of the way, Canon has a 70-300 IS USM f/4.5-5.6 that might be a good choice for you. It has almost the exact same zoom range, has IS and a USM, and is highly rated by consumers. It is a big step up in price, but you do get what you pay for usually. It does cost about 3x as much as the economical 75-300 that you mentioned in your question. If you've got, the cash to burn, and want to treat yourself to a lens that will do well for wildlife and sports, the 100-400 IS USM f/4.5-5.6 L lens is amazing, but it is around $1700 USA. I put the links below (on Amazon) if you want to read some of the reviews on them by the many buyers who've purchased and used them. I personally shoot a lot of portraits with my 70-200 f/2.8 (which is very pricey) and used my 400mm for sports and wildlife. Interesting, at the boot camp I attended the instructor uses a 18-270 made by Tamron for almost everything he shoots. Now, he shoots Nikon on a smaller (Canon APS-C size) of sensor, but if you're not a Canon loyalist, you could go with one of the other lens manufacturers to broaden your choices. That's my perspective and I hope this helps you make your choice based on what is good for your photography. Keep me informed and let me know how you make out. Since spring is not far off and I wanted to do "birding", I found a used Canon EF 100-400mm f/4.5-5.6L IS USM considerably less expensive than the "new" price. This lens has amazing zoom qualities (pointed it out of my office window) but I was interested to know if you've and dos and don'ts for this lens. Congrats on getting an "L" lens. It's a premium lens. The only "don't" I have for you is don't use the IS when you are shooting on a tripod. The only "do" I have is do shoot a lot of test shots, and check your images under magnification to check its sharpness. There are variations in any lens-camera combination, just like shoes fitting on our feet. Make sure your images are sharp with the lens-camera combo you have. Do have a blast with your new lens! Very informative, thank you. I decided to go to the Canon Canada eStore to look at EF 70-300mm f/4-5.6 IS USM and I discovered that there's an Extension Tube (EF 25 II) that's sold as an accessory to this lens. Since I'm still very much the amateur, this begs the question, "What does the extension tube do to enhance this lens?" Canon Extension Tubes are used for macro and close-up photography. 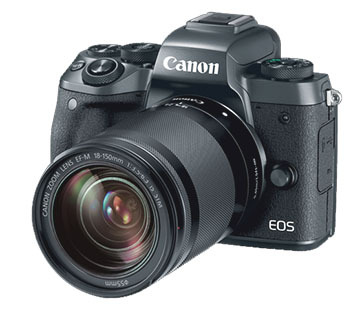 The EF 25 II is VERY highly rated and works perfectly with Canon lenses and DSLRs. It's one of those Canon accessories that I prefer to go with a third party manufacturer. There are no optics in extension tubes, they just go between the lens and the camera body to give you the ability to focus much closer to your subject. Communication between lens and camera is maintained by the electrical contacts on the extension rings. Usually it is better to go with manual focusing and perfect auto-focusing function isn't really that critical in my opinion with this type of photography. Lesser-known extension tubes work fine and cost a whole lot less. Hi Paulla, thanks for your question about mounting Minolta lenses on a Canon Rebel. Coincidentally I was a Minolta film camera shooter and evolved into a Canon digital camera shooter. I decided not to use film camera lenses on digital cameras due to the different lens design specifically for digital photography. 1. Digital camera sensors respond to light that strikes them perpendicular to the sensor plane. Film camera lenses allowed light to strike the film plane at various angles. 2. The kits that include lenses made specifically for the Rebel T5 and T5i are such a good value and are only slightly more money than just a T5 or T5i body. 3. You know you have full compatibility when you buy a lens/camera in a kit. For these reasons I have no experience in using adapters like the one you asked about. "Can the EF lenses from a Canon EOS ELAN 7 interchange with the new Canon T6S digital camera? Hi Emery, Thanks for your question to CanonGeek. 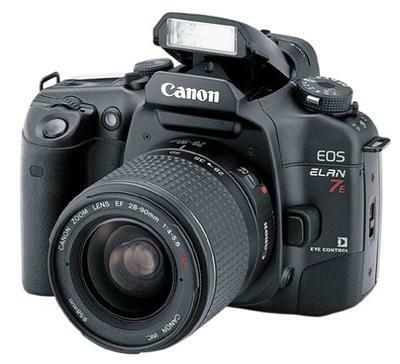 The Elan7 was released about 15 years ago and had a reputation as the "Quiet Canon" because of its Whisperdrive when used with the USM lenses. 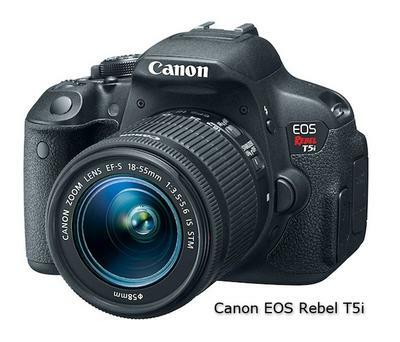 The Rebel T6S is a digital camera. It's the latest in the ever-popular, ever-successful, line of "t" cameras, that have become sophisticated image machines with affordable prices. The first T6s models had an issue with sensors, but the 03 serial numbers and later have fixed this problem. Usually older EF lenses will fit perfectly onto newer digital EF cameras. The Elan accepted EF lenses. The Rebel T6s will accept EF and the smaller EF-S lenses. More modern EF lenses are designed specifically for using with digital cameras. Some "lens experts" claim that lenses specifically designed to work with digital cameras are better. I am not so sure. I think it depends on your shooting style. In any case, using an EF lens on a smaller sensor camera will give you the "crop factor." The Rebel T6s has a APS-C sensor, meaning a 28-135 EF lens will give you the same angle of view as a 45-215 lens when used on a APS-C (1.6x) sensored camera like the T6s. A 50mm EF lens would behave like a (50mm x 1.6 = 80mm) 80mm lens when used on the Rebel T6s. I've found the Canon folks to be quite helpful on the phone as well. (866) 510-1335 Canon's technical center in New Jersey. I have a couple of lenses I use with my Canon Rebel XT. One is a canon zoom lens and the other is a Tamron 75 - 300mm lens. Can I use these lenses with a new Canon camera? 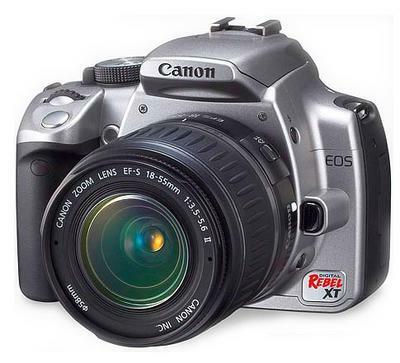 Thanks for your question about your Canon Rebel XT. 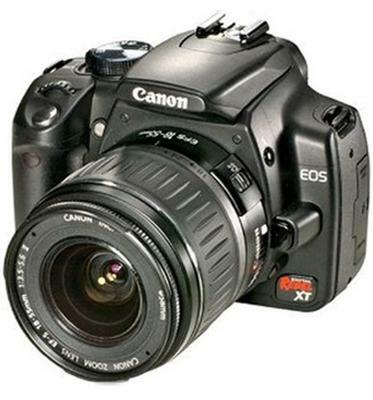 A popular and technologically advanced camera in its time, the XT is now 10 years old. It has an APS-C sized sensor and will work with EF and EF-S lenses. The EF-S lenses are more affordable because they use less "glass", and are smaller and lighter, and their zoom range is designed to work with the smaller 1.6x crop factor, APS-C cameras. I know have all EF-S lenses so I can use them on either my full-frame 5D Mark III or my APS-C sized Canon EOS 70D. Just remember the 1.6x multiplier if you are considering another APS-C sensor camera. Interesting enough, early on there were SOME compatibility issues with Tamron lenses and the Rebel XT, but you should have no issues with a more modern Canon. Hopefully that wasn't an issue with your XT. I just noticed that when I carry my camera, either shoulder or neck strap. when i lift the camera, it eaisily slides back in. can any one give me a tip or should I take it iin for surgery. Thanks Rafael for your question about the Canon 24-105mm f4.0 lens. I have two of them and they are usually my "default" lens that are on my DSLR bodies. I have not heard of this issue occurring very much with this particular Canon lens. It is not an UN-common issue with cheaper lenses manufacturers. I don't know how old your camera lens is or if this interferes with your use of the lens. If your are shooting photos with your camera aimed upward toward the sky or downward toward the ground I would say that this makes the lens useless. I just paid $300 for an overhaul of my older(10 years old) 24-105. It was starting to give me a few communication error warnings and was occasionally failing to focus. It was disappointing but that comes with the territory of owning professional equipment. Camera bodies, lenses and other accessories do need maintenance and repair just like an automobile would. My lens is about 4 years old. I am not a pro Fotoer. I do this for sheer enjoyment and to share my photos, of course. I use my camera about once a month and usually parallel my cameras position. I am interested in purchasing a cannon digital camera. Are there any that my cannon ae1 35mm lenses will fit? Hi Roger, thanks for your question about the Canon AE-1 lenses. Unfortunately I became a Canon geek after the mainstream adoption of digital photography. I don't know anything about the AE-1. Whenever I am stuck I use Google and Wikipedia as starting pints. 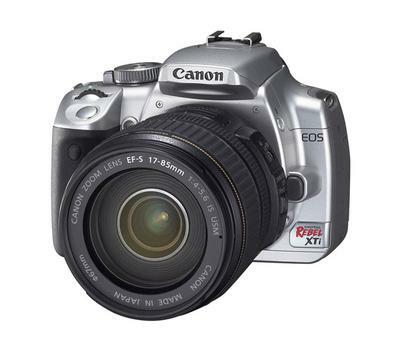 I have a canon digital Rebel XTi and I'm looking for a lens that would be good to use for indoor cheerleading pictures. I don't want to spend a fortune on the lens, what would u suggest me to get. Hi Kim, Thanks for visiting my site and thanks for the question about the best lens to use with your XTi. The quick answer is the standard "kit" lens, the 18-55. But, there is always a much longer answer that depends on the situation you are in. 1. It's very affordable. You can get brand new USM IS versions of this lens for under $200. The XTi is about 10 years old and is not a good camera for low lighting situations. If you can use powerfull flash lighting you'll be okay. The maximum ISO setting on the XTi is only ISO 1600 and it does not perform well at all at that setting and image quality will be poor. If you are shooting action shots of cheerleaders with the existing light, you'll likely have major issues in getting the type of photos you seek. A faster lens, one that can open up to a wider aperture like f/2.0 would be more ideal if you are shooting indoor without really bright lights. These lenses have more "glass" and are more expensive. If you are shooting from the sidelines, at a father distance, you'll need a longer lens that zooms to 200 or 300 mm length. Kim, if you want to get back to me with more detailed information on the type of photos you are shooting, the lens you already have, and the light that you will be using, I can advise you better. and the EFS 18-55 mm IS. They are both canon lens. I take mostly group shots, from the stands, but would like to get better action shots and some better close ups of my daughter doing her tumbling and stunting. I know my camera is old, but I love it for outdoor football and track pictures and really don't want to spend the money on a new camera body. Thanks for you help. I have a Canon G12. I know that you can add other lenses but am having a hard time finding out exactly which ones are suitable and the best for this camera. I like to shoot both closeup and far away. Thanks for your question about lenses for your Canon g12. I've never changed or added lenses or filters to my Canon g11(the younger sister of the g12) so I have no experience with them. I like the compactness of the "g" series as is and I use my DSLRs for super wide-angle and super-telephoto photography situations. The G12 does have nice macro capabilites, as is. With that said I know that Can has several options for you, depending on exactly what you are trying to accomplish with your G12. 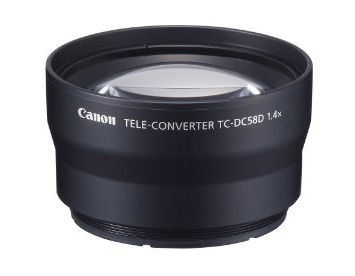 TC-DC58D Tele Converter Lens for Canon PowerShot G10, G11 and G12 Digital Cameras. This Tele Converter requires Lens Adapter LA-DC58K to attach this lens to the PowerShot G10, G11 and G12 Digital Cameras. It will convert your focal distance to 196mm (1.4x). This adapter is required for the 58mm lensfillter on the PowerShot G12, G11 and G10. When I am learning about a potential Canon camera accessory I often go to Amazon and read the reveiws of buyers of an accessory to see what others have experienced. The Canon G12 is a nice versatile canon and so eas to take anywhere. Thanks for your question about Canon Cameras and the Xti 400D. Sorry for the delayed response. I have been away on an extended photo shoot. 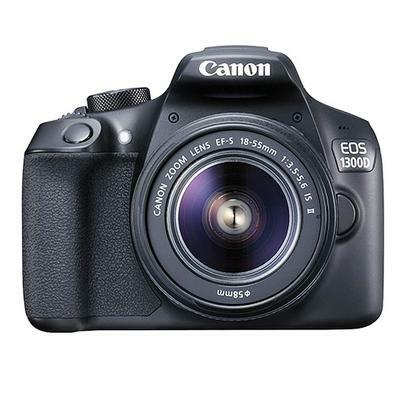 This camera was introduced nearly a decade ago and was the third generation upgrade over the 300D , followed by the 350D. These screw-on lenses are used just like you would use a filter and require no adapter. These type of screw-on lenses are a very affordable away to experiment with wide-angle and telephoto perspectives without a big investment. The optical quality is compromised a bit when using them verses a separately designed lens with several lens elements to combined to reduce lens. aberrations. Make sure to keep them extremely clean on front and back surfaces. What is the best lens for a Canon T3i for Video Blogging? I'm an amateur having trouble picking out a lens for video blogging with the Canon T3i. I will mostly be using it in natural sunlight for portraits etc, but occasionally (when blogging about food in restaurants) will be recording in dim lighting. The 18-55 "kit" lens that comes with the t3i is a very good lens and is extremely affordable. That will handle most of your situations quite nicely. For low light situations, if you can swing it financially, get a 2nd lens. You need a lens with a wider aperture. 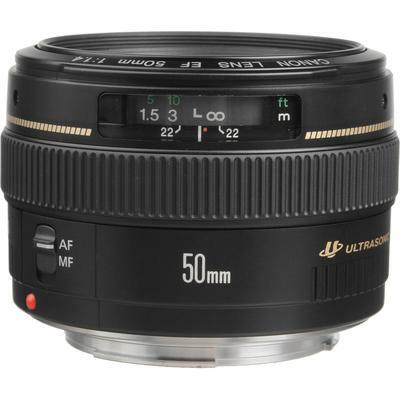 One of the most popular "fast" lenses for Canon is the Canon EF 50mm f/1.8 II Camera Lens . They are only about $125 and are fast and sharp. My original EFS18-55 lens, sold with the EOS 350D camera, has given up. 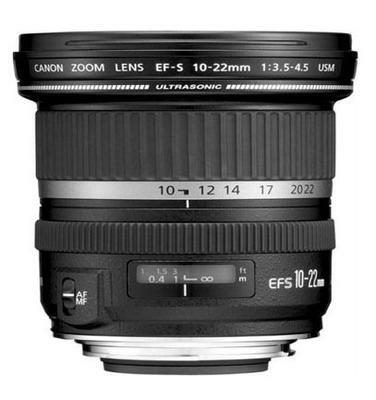 Can I fit the new EF-S 18-55 mm f/3.5-5.6 IS II (ie WITH image stabilisation)? In other words, will the old camera body be able to control this new model? Thanks for your question, Alan. The newer Canon EF-S 18-55mm is a very popular lens. The original version of this lens was released in 2003 and the IS upgraded version released 5 years later. 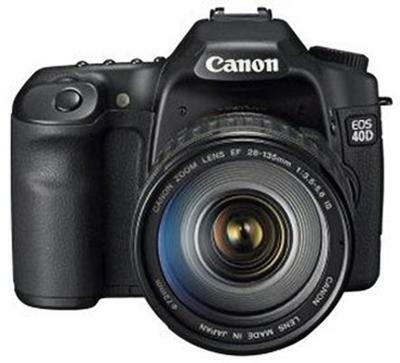 It is sized and packaged to be offered with Canon's APS-C dSLRs such as the EOS 450D. Yes, it has actually been tested on the EOS 350. To the best of my knowledge, there are no compatibility issues but I have not personally tested this combination of lens and camera. Compared to the original, not only did Canon add image stabilization, they also improved the optical design and the performance of the lens too. The aperture blades are now circular for better bokeh. 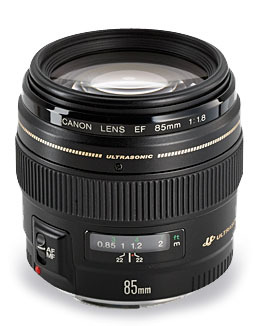 The focal length range is equivalent to 29-88 mm and that is a nice range for a camera lens at this price level. 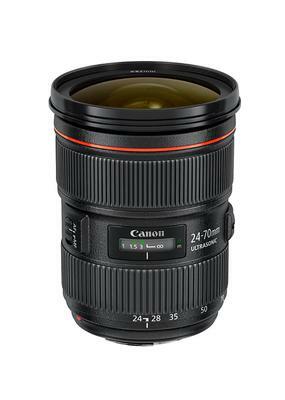 The Canon EF-S 18-55mm f/3.5-5.6 IS II SLR Lens gets great reviews from buyers on Amazon. I have a canon T3i and I am looking at getting my first new lens and don't know much of the ins and outs of what lens can go on it. I have a change to get a new (referbished ?-store bought) (Nikon 1 Nikkor 30-110mm f/3.8-5.6 VR Lens for Mirrorless Camera System - White) for a great price. Will it work on my T3i ??? This lens was specifically designed for the Nikon "1" series of mirrorless cameras and not the Canon t3i. I am assuming that you have the 18-55mm kit lens for the t3i, so you might want to consider the reason for buying your new lens. What kind of photography are you wishing to accomplish with a second lens? It is human nature to want to get a "good deal" on an item and not miss out on a limited time offer, but it may not be in our best interest if it is not really the right product we need. We have the canon rebel camera and I am just wondering what lens will work best or that you would suggest when we go to the United kingdom for holidays? Hi Jennifer, Thanks for your question about the best lens for your Canon Rebel ( you later told me it's the XSi ). 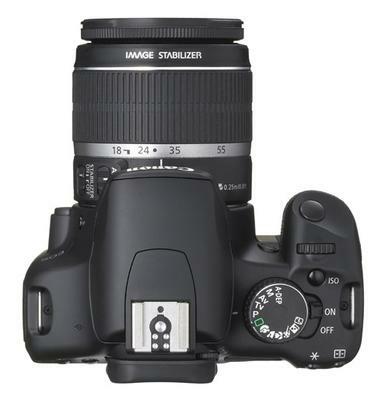 The EF-S 18-55mm f/3.5-5.6 IS is the standard "kit" lens comes with the XSi. I don't have the statistics, but the 18-55 is most likely the all-time biggest seller because it is included with so many of the APS-C sized cameras. With the 1.6x field of view crop that gives you an equivalent of about a 28-90mm zoom on a full-sized sensor. It is a good general purpose lens but does not have a lot of telephoto zooming power for more distant subjects. 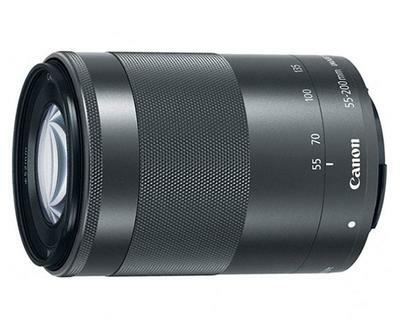 You might consider the Canon EF-S 15-85mm f/3.5-5.6 IS USM Zoom Lens. That has an equivalent zoom range of 24-136mm which is even better than my all-purpose EF 24-105mm f4 which is use on my full-sized 5D and 5d Mark III cameras. It's hard to believe that this camera is now about 6 years old as it was first released in 2008. Are you limited to carry only one lens? The auto focus point in P mode will not move to a different focus point. How do I fix this? 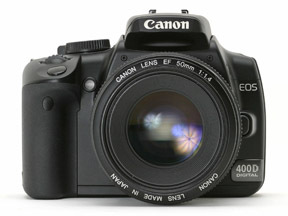 a Canon EOS 40D. I am a amateur photographer. I need professional advice." Thanks for checking out the Canon Geek web site and thanks for your question. Of all the questions I receive, yours is one of the easiest for me to answer. Get the Canon EF 70-200 f/4. The f/4.0 is a great lens. It performs extremely well. It's so light compared to the Canon 70-200mm f/2.8. The 70-200mm is easier to hold, easier to transport, and a whole lot cheaper to buy. It is a rare situation that you would need the extra one f/stop of "fastness" that the f/2.8 has over the f/4 version. You still can get great Bokeh at f/4 with the f/4 lens zoomed in to its 200mm setting. I did a lengthy comparison at one point of the two lenses, comparing the differences between shooting at f/4 and f/2.8. You do have two options on this lens: Canon EF 70-200mm f/4.0 L USM Lens released in 1999 or the Canon EF 70-200mm f/4.0 L IS USM Lens released in 2006. I included the photo with the Canon 400mm f/5.6 too because it's really a much better lens for bird photography and perhaps an airshow, because of the benefit of stronger magnification. If you're photographing birds at your own birdfeeder, 200mm is enough power. If you're photographing birds out in a natural environment, you really need a 400mm lens or more. Birds are small and they keep their distances form us human beings. Infinity focus on Canon Lens For Nighttime Photography? "Please help! What canon lenses still offer that infinity focus mark for nighttime long exposure?" 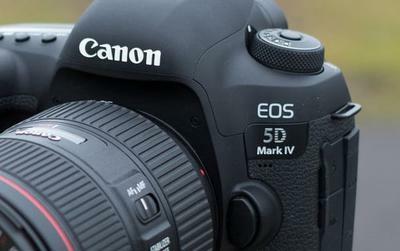 Thanks for your question about infinity marks on Canon lenses. I am going to assume that your question is not about Canon lens "infinity compensation marks" that are made to compensate changes in optics that occur from different temperatures. It would help if I knew for sure what subject you are going to be photographing at night to let you know how I'd handle the focusing. The quick answer is that there is no list of Canon lenses that have the infinity mark. You need to look at each lens individually to determine if it has the mark. "It helps with autofocus (allowing the autofocus system to go a little beyond infinity while it is trying to find focus) and allows for some designs of non-parfocal 'zooms' (zooms that change their focus when the focal length is changed, correctly called varifocal lenses but commonly called zooms*). Temperature effects are also often mentioned as a reason, and though there are plenty of lenses with hard infinity stops that behave well at temperature extremes, temperature compensation may be needed for physically long lenses that expand lengthwise in the heat - therefore they need to be racked in towards the camera body to achieve infinity focus." I recommend that you not even look at any marks for focusing when doing nighttime photography. Those markings are not precise and with nighttime photography you're generally shooting at your lens's widest aperture and your depth of field is so narrow. I use a viewfinder magnifier like the one pictured above. It really depends on the exact situation you're in, but if you have an interest in focusing on infinity it's better to do it manually. "Is the use of Tamron 70-300mm lens for canon 1300d cam cause any damage to it and reduce the picture quality?" Thanks for your question about the Tamron 70-300mm lens fitting on a Canon 1300D, known better in the USA as the Canon T6. I haven't heard of any compatibility issues. Tamron makes this lens in several versions, each specifically designed for different camera brands: Nikon, Canon, Pentax, etc. You should have no issues with damage. Fenu, you should of course be very careful when you mount your 70-300 lens on your 1300D, to be sure. The Tamron 70-300mm lens is not a super sharp lens. It will have less picture quality than a non-zooming "prime" lens, but if you use good technique you shouldn't be disappointed. It's of average quality, but your standards for sharpness will be different may be different than mine. "I have a Powershot S3 IS I bought several years back. I would like to purchase a telephoto lens. The telephoto lens that is built into the camera does not meet my needs. What do I purchase? I do not want to spend a thousand dollars on a lens, as I use this only for taking photos for my scrapbooking hobby. I am going to see Coldplay in August, I have good seats, but I want to be able to get an intimate picture of the members of the band as they play their instruments, specifically Chris Martin when he plays his piano. I will be close to the stage, but not close enough to use the built in lens on the camera. Please advise." 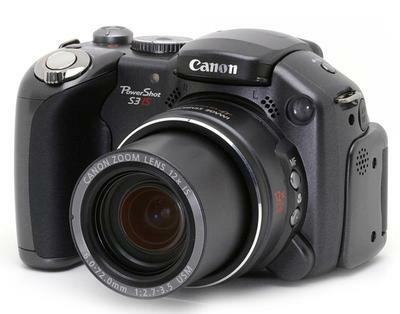 Thanks for your question about the Canon Powershot S3 IS. It's hard to believe that the Canon S3 is already 10 years old, which is ancient in the world of digital photography. By far, the biggest appeal of the S3 at the time of its release was its 12x zoom. It gives you the equivalent zoom of 35-435mm zoom. At the 435mm setting, you get an angle of view of only 4 degrees. If you are lucky enough indeed to get close to the stage, the magnification at full zoom would be too much, unless you are shooting head shots of the performers. The biggest liability of such an old camera is its performance in low light situations. If you're shooting a daylight concert it's no problem. If you're shooting a concert at night or inside, you likely will be very disappointed with the results you get. The Canon S3 IS was not built as a camera with interchangeable lenses and I can't recommend any tele-extenders or cheap telephoto lens kits that would be satisfactory. This is not the advice you were hoping for, but I can't recommend spending any money on a lens for such an outdated camera. You'd be better off justifying to yourself to splurge and reward yourself with a more modern camera. The small 6 megapixel sensor, the limited high ISO capabilities, the slow 2.3 frames per second make this camera challenging for you to use to get some good photos taken at your concert. Whatever you decide to do, let me know how you make out! Thanks so much for your answer. I am afraid I will have to borrow my friend's camera because I cannot justify a new camera for the event. I will however find out what my friend's camera is and ask you about the lighting issues when I find out the make, and model. Thank you again, like you said it wasn't the answer I wanted to hear, but I am confident that if I would have went to a store a salesman would have shafted me. "The camera body I use is a 70D. I've been using a Tamron 18-270mm f/3.6-6.3 lens as my go-to lens. To my amateur eye, it has given me 18 months of enjoyable photography (mostly nature shots), but I did not pay very much for it and it's starting to fail; time for a replacement. 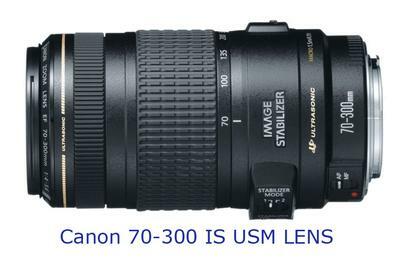 In the Canon line of lenses, would you recommend the 70-200mm f/4 IS USM as a walk-around replacement for the Tamron that I've been using? Thanks for your question about a good walk-around lens to go with your Canon 70D. I would not recommend the Canon 70-200mm f/4.0 as a replacement lens for your Tamron. Your EOS 70D has an APS-C sensor. That has a "crop factor" of 1.6x, meaning the 70-200 lens would give you the equivalent angle of view as a 112-320mm lens. I believe you would find that focal length range too long for general walk-around photography. In your question you mentioned that you were happy with your Tamron. I'd suggest you go with a lens that has a similar zoom range. 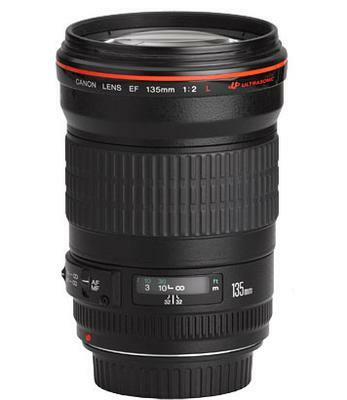 If you'd like to go with a genuine Canon lens, I think the Canon EF-S 18-200 would work for you. I included a link at the end of my answer to some buyer opinions. It's mid-range in terms of price, smaller and quite a bit less money than a 70-200 f/4.0 with a more useful zoom range. If you shoot nature and landscapes, you really must have a wide angle focal length as part of your new lens. The 18mm setting on a lens mounted on the 70D gives you an equivalent angle of a 28mm on a full-frame camera. If the price range is a bit too steep for the 18-200, you could compromise with an 18-135mm, which is about half the price of the 18-200. If you are on a super tight budget, you could get a 18-55 kit lens, but I think you'd be disappointed in the limits of the zoom range on the telephoto end of this lens. Please let me know how you make out and what you decide. I shoot a Canon 80d and 5d Mark IV. I’m visiting Iceland in October and hope to see the Northern Lights. What is the best lens to use on either or both cameras? 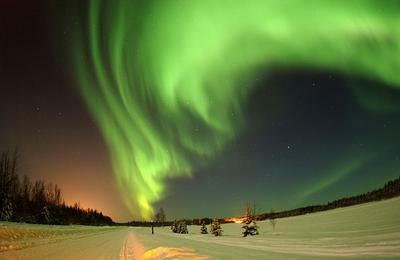 Thanks for your question about the best lens for photographing the Northern Lights. How exciting! My son lived in Ireland for about 16 months and we got to visit Northern Ireland, although very briefly, and what a cool place to have your Canon cameras ready for capturing some great images. When I was there I had my Canon 70D and my Canon 5D Mark III. First, my disclaimer: I've never photographed the Northern Lights (aurora borealis), although I have done some photography of the nighttime sky. Most experienced photographer will tell you you need a super fast lens with a maximum aperture of f/2.8 or faster. I disagree. I've had good success with shooting stars at f/4. The northern lights are a bit easier to photograph than the traditional very dark sky at nighttime because they are brighter. You can also get some fascinating images by leaving your shutter open for longer periods of time. Be aware though, that the brightness of the aurora borealis can vary, depending on your exact location, the time of year, the time of night (or day) and atmospheric conditions. You definitely want to have a wide angle lens in the 17mm to 24mm range. A wide angle lens will let you include the landscape in with the lights in your composition. The 17-40 f/f has been a long time favorite among Canon shooters. You can't go wrong if you already have the Canon 28-70 f/2.8(great wedding lens too) or the 24-105mm(my favorite) in your camera bag. Keeping it simple: the lens you use for photography the northern lights must be sharp at its widest aperture and you'll want it to be able to shoot a wide view. Of course, prime (non-zooming) lenses in general give you the absolute sharpest results, especially when they're wide open. Zoom lenses can give you solid results and are more versatile. 1. I recommend you learn how to read a histogram if you don't already know. You'll be shooting in manual exposure mode and you want to be able to evaluate your exposure and adjust the shutter speed to get the right effect. 3. Use your Mark 5D mirror lock-up and either the self-timer or a remote shutter cord to avoid any lack of sharpness. 4. I would shoot your photos in RAW and highest quality jpg mode too. I don't know what your level of experience is with editing your photos, but the amount of creative control you get post-capture when shooting RAW can't be matched at all by a jpg image. You'll have the jog images ready to share right away and you'll have those uncompressed RAW files to adjust exposure, color balance, and many other ways forever. 5. Shoot some nighttime photos ahead of time. This is probably the most important tip I can give you to help you prepare for photographing the Northern Lights. Doing a few practice runs will give you a great idea on what you'll experience, any issues that might arise, and a chance to make mistakes and correct them ahead of time. Use your 5D Mark IV. The low light performance of the full size sensor and the Digic 6+ processor on your Mark IV is a capability you'll want to take advantage of using in the challenging task of photographing an amazing spectacle under less than an ideal situation, darkness. The 80D is a fine camera, but it makes no sense to use it when you have your 5D Mark IV available. Leigh, please please please let me know how you make out with your choice of which lens you use for your northern lights photo excursion and share a few of your images. Beginners Tips To Photographing The Nighttime Sky - Excellent article to read, giving you the basics, common sense tips, and common mistkaes newbies make with photographing the nighttime skies. You bet, Leigh. I look forward to seeing some of your photos from Northern Ireland AND the Northern Lights. Thank you so much! I already have the Canon 24-105, just got that and the 5d in the last couple weeks. Trying to learn my way around them. I’m a novice who loves to take pictures. I’ve been reading all I can. I haven’t found the histogram on this one yet, still looking. I’ll keep you posted on the photos of the lights if I’m lucky enough to see them. Again, thank you! "the only two canon lenses I own are the 50mm f/1.8 and 85mm f/1.8. I am ready to invest in my first L Series Lenses but cannot decide between the Canon 24-70mm f/2.8 L II or the Canon 70-200mm f/2.8 L II. I can only afford one right now and it will be a year or two before I could afford the other. I like shooting senior pictures, weddings, Family portraits. Thanks for your question about Canon EF "L" lenses. This is a fascinating topic. Seeing that you only have two fast, prime lenses indicates to me that you love only high quality, fast lenses. That is quite unusual as most shooters first lens is a standard zoom or kit lens. You shoot senior pictures, weddings, family portraits. I've "retired" from shooting weddings, but I'll tell you what I do and that might help you decide what's best for you to do, although our shooting styles may be a little different. I'll assume you shoot with a full-sized sensor. I prefer the 24-105mm lens over the 24-70 and, in fact, have two of them. Both the 24-70 f/2.8 and my 24-105mm lenses f/4 maintain their constant maximum f/stop throughout their zoom range. I find the 24-70 range (2.9x) a little limiting at times. I really like the extra reach and more distant perspective I get at 105mm, particularly for family portraits. For me, the 24-105 range(4.3x) is a little more versatile. 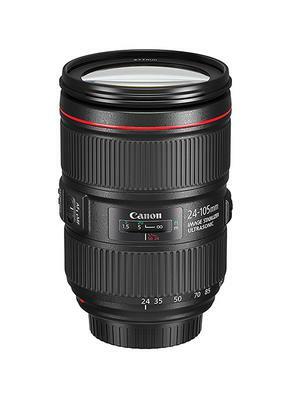 The 24-70mm is a sweet lens and quite popular with other Canon shooters, no doubt. For me, 70mm just isn't strong enough in a lot of situations. I don't shoot natural light wedding photos in dark churches anymore, so I just don't miss that extra full stop of speed that the 24-70 f/2.8 gives you over the 24-105mm f/4. For me, 70mm is not telephoto enough to use for head shots-it's not a distant enough perspective. If you really need that extra f/stop, you need to get the 24-70 f/2.8. With the newer DSLRs I find the high ISO capabilities to be so good that I just don't need to shoot at f/2.8 anymore. I use my 70-200 f/2.8 for shooting senior portraits about 98% of the time. I love it for shooting portraits, inside studio headshots first, followed by full length and closer photos outside. This is definitely the lens you should go with for your second purchase next year. You'll have no regrets. For the benefit of the other readers of Canon Camera Geek I've included links to the 3 lenses on Amazon to give them an opportunity to read the consumer opinions on these 3 lenses. Good Luck, Victor. Please let everyone know what you decide! "I wanted to know is the Canon EF 75-300mm f/4.0-5.6 III Lens compatible with Canon EOS 1200D DSLR?" Thanks for your questions about lens compatibility. 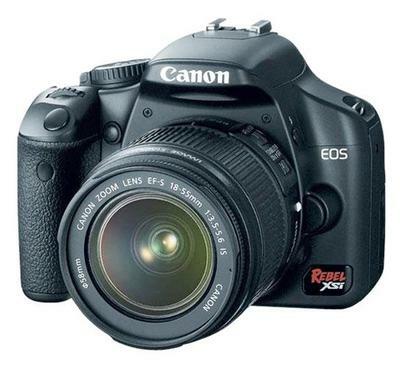 The Canon EOS Rebel T5 1200D is an APS-C sized camera and it will take EF-S and EF sized lenses. 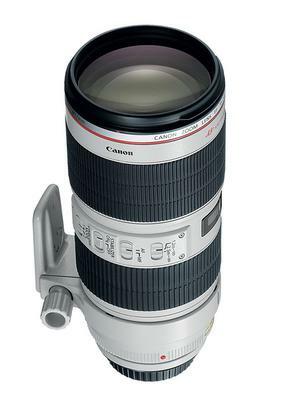 The Canon EF 75-300mm f/4-5.6 III USM will fit. You'll get a 1.6x crop factor. that means you'll have the same angle of view as a 120-480mm lens. 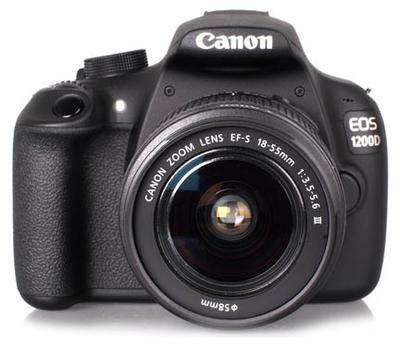 I RECENTLY BOUGHT A CANON EOS 1200D WITH THE IS 18-135 LENS,MY LOVE FOR PHOTOGRAPHY IS SOMETHING THAT I CANNOT EXPLAIN IN WORDS. I AM ALSO AN OFFICER IN GREEK MERCHANT MARINE WHICH MEAN THAT I AM TRAVELLING ALL AROUND THE OCEANS. I WOULD APPRECIATE IT IF YOU COULD ASSIST WITH SOME LENSES REGARDING SHOOTING PHOTOS AT SEA AND ESPECIALLY AT NIGHT AND ALSO ANY SUITABLE TELEPHOTO AND A PORTRAIT LENS. THANKS IN ADVANCE FOR YOUR ASSISTANCE"
Thanks for your question about the Canon Rebel t5 1200D. 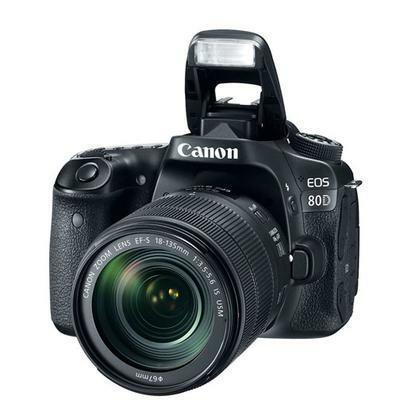 It's a quality entry-level DSLR that has a lot of great features for the price. 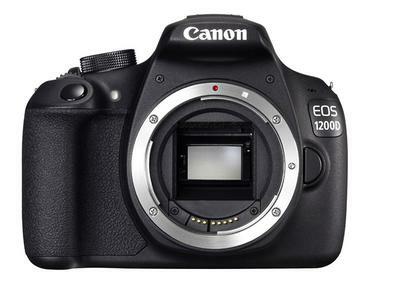 Unfortunately, the 1200D does not have any environmental seals so you'll have to be extra careful handling it under adverse conditions. I shoot with weather-sealed Canon bodies and weather-sealed Canon "L" lenses and I try to be very cautious when I shoot beach portraits. Usually I'll keep my camera and lenses inside my camera bag as much as possible. The wind will carry tiny sand, dust, water,and salt particles. After each photo shoot I'll wipe off my equipment several times with clean, damp cloths. 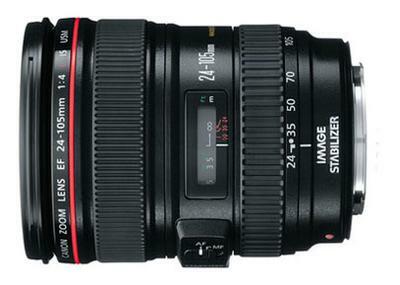 The 18-135mm lens is a good choice for an APS-C camera body like the Canon 1200D. The 1.6x crop factor of the lens with the 18-135mm lens gives you the equivalent view of a 28-215mm lens. If you want to shoot birds at sea you will want a longer lens like the Canon 75-300 Lens. For nightime photography, photographers often go for fast wide-angle lenses (f/2.8 or faster) for shooting the stars and, of course, a good sturdy tripod. Please feel free to ask me any further questions if you want to get clear on something. Are there any plans to increase the lenses available for the Canon mirrorless system? Thanks for your question to the Canon Camera Geek Blog. I sure hope so, but I think it will depend on how robust the sales of the Canon mirrorless camera bodies are. It's ton of design and cost to produce a new lens for any company, particularly such a large company like Canon. 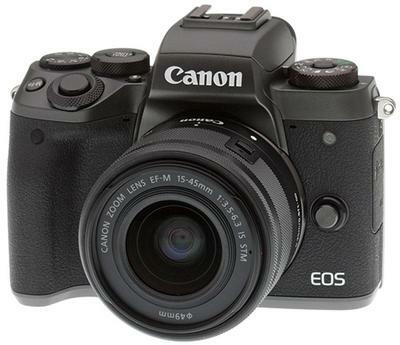 Canon has really lagged behind the competition in its development of mirrorless camera products, up until the M5 and M6 were introduced recently. If you're the same Terry who wrote in before, good to hear from you. I do think the M5 is a really sharp camera and the lenses you have are a real good mix. You might consider going with an adapter for now if you are seeking more lens selection for your Canon mirrorless camera. It's hard to tell how long you'd have to wait before a new lens comes out. And, if it does, it easily could be overpriced for a while. Let me know what direction you go. The other readers of the site and I would love to hear your feedback if you expand your mirrorless lens options. I sure will keep you all up to speed! by Terry or Terence whatever! Can you recommend a make and style of filters for the EOS-M lenses, or in fact any canon fit lens? Most filters that are marketed are a waste of time because you can apply so many effects with software afterwards. With that comment though, comes some exceptions. 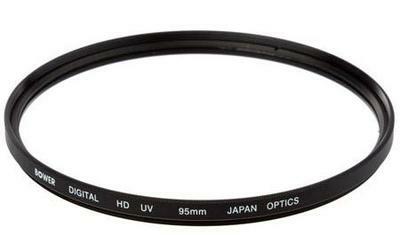 1.UV Filter to protect the lens from dirt, smudges, and scratches. 2.Polarizing filter to deepen a blue sky, enhance colors, or eliminate reflections. 3.Neutral density (ND) filters for extremely long exposure photography. In reply to you Bruce! Any particular make or shape of filters Bruce? No, there's too many for me to recommend one. I've used vivitar, B+H, Tiffen, Sunpak. You get what you pay for and the more multi-coatings layers the better. I've just swapped my G1X Mark II for a Canon EOS M5 camera kit which includes the 15-45mm lens. I've also bought an 18-55mm, 55-200mm, 22mm and an adapter so I can use ef and ef-s lenses on my new camera. My favourite genres are Wildlife, Street,Landscape and Nature photography. Do you think I need anymore lenses? Thanks for checking in! First of all, let me say I'm jealous. I've been toying with the idea of diving into mirrorless for a while and Canon really came up short with the original M and and the M2 mirrorless cameras. I've really loved my G1X Mark II (accept for the separate EVF Viewfinder) and the G1X format is so convenient as a take anywhere camera and get the benefit of the big sensor. Now with the highly acclaimed M5, Canon fans like us can go mirrorless. Now that Canon also came up with the impressive and fascinating G1X Mark III option, I'm in a state of paralysis by analysis. The M5's mirrorless advantages and performance vs the built-in viewfinder, APS-C sensor, and dual pixel focusing of the G1X Mark III. I must have the ability to shoot raw for many reasons and I must have a viewfinder. I guess I'm old school. But, enough of that. Let's dive in to your question about lenses for you Canon M5. Yes, you do have enough lenses.. In fact you are off to a real fast start. Most photographers, who try out a new camera, will begin with just the provided "kit" lens before they expand their lens arsenal. With the 18-55mm and 55-200mm you've got about a 28-360mm lens range covered with the M5's 1.6x crop factor. You've also got the 22mm prime and your adapter for your other Canon lenses. You should be able to handle all of your shooting situations. Congratulations! Terry, I'd love to hear back from you after you've played around with your new M5 and your lenses. If you'd like to contribute a review of your newly acquired Canon equipment to Canon Geek, we (The site's visitors and I) would love to read it. p.s. How did you "swap out" your G1X Mark II? Is there a good market for it? "In reply to your comment Bruce, I didn't actually swop my Canon G1x mark II for my Canon EOS M5. That was a figure of speech I'm afraid, sorry for any misunderstanding! I got around £350 for the G1X II, along with around £320 for my Olympus stylus 1. So quite a big chunk of dosh towards the M5! Thanks for your opinions about the lenses, however I still think maybe a wider lens would be better for Landscape work, I suppose the 15-45mm would do it, although it might be pushing it a bit! Oh by the way the M5 has duel pixel too! I think the G1X mark III is pretty nifty too, but Canon have reduced the focal length from 120mm to 72mm! Why do they do it? give you something in one hand and take it back with another! Anyway the M5 feels good in the hand, and like you my cameras must have a viewfinder! I'll be sure to keep you updated with my progress. All the best. Please do keep us updated on your opinion of the M5. Canon got a lot of things right in this version of mirrorless, dual pixel and APS-C sensor. I was disappointed too that the lens on the G1X Mark III was downsized. Likely they had to compromise on the zoom range to put everything else together. Third party lenses to use with the Canon EF/EF-S to EF-M adapter. It's me again! Becoming a bit of a pest on here! Anyways up I'll give it a shot. 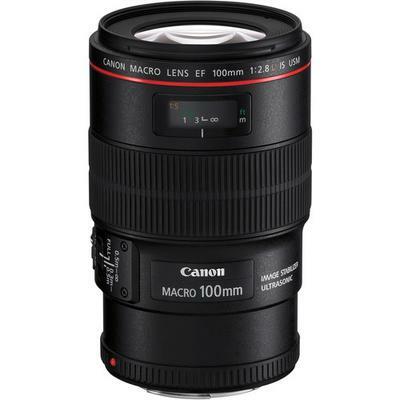 I've been looking at Sigma and Tamron 70-300mm Canon fit lenses, and was wondering if these lenses would be compatible with my adapter. I couldn't see any reference on any sites, so I got in touch with Canon and they told me to get in touch with Sigma and Tamron! What! So, I got in touch with Tamron and their reply was even funnier. They said they didn't test their lenses on the adapter, and I'd be better off getting in touch with Canon! Talk about passing the buck! After tis non-information, I decided to not get in touch with Sigma, for fear of another "run-around-the houses" I Just wondered if you could shed some light on this? I think you're going to be a trailblazer on this one. LOL. These big companies don't want to stick their necks out on the 100% compatibility issue. If you can afford the possibility of disappointment, I'd dive in and take the risk. You never know without trying out a lens-camera-adapter combination yourself. I did the same thing with NON-canon extension tubes and they worked flawlessly on all of my Canon DSLR bodies. Whatever you choose, the Sigma or Tamron, treat it gently and you will be able to resell it at a moderate loss if the combination doesn't work to the level you want. Like I said before, with the 18-55mm, 55-200mm you're off to a great start. I'm banking (no, actually hoping) on the new Canon rumor about a full-frame mirrorless that takes EF Lenses being released in 2018, most likely at Photokina. Keep us informed. We're anxious to hear what happens! I'm looking out for a telephoto lens with IS, with a focal length of 300mm + for my Canon EOS M5 camera. Not too expensive though! Any suggestions? Based on what we've discussed in our other dialogues, you're on the right path. Is it possible you're getting into a little paralysis by overanalysis? I am guilty of this quite a bit, particularly when it comes down to cameras and lenses. As an example I went from a Canon 400mm f/5.6 prime to a Tamron 150-600mm(with Canon mount), and now on the Canon EF 100-400mm f/4.5-5.6L IS II USM Lens as my newest version a "super telephoto" and am loving it. My advice is to take action and buy one and try it. That's the best way to get through your decision. You're missing out on using one every minute you delay. "When you put a L lens on a cheap Canon body does it really make the photo better?" The Really quick answer is yes! Of course. But, there is always a "BUT"
If you think about it, every single ray of light must travel through the lens to the sensor to take a photo. The lens is the medium through which all of the "information" must travel to create all photographs. Canon L lenses producer sharper images with better contrast and fewer defects than non-L lenses. Particularly with newer digital cameras, the sensors and software are so advanced that the lens can often be the weakest link in the chain. 1. How you view the photo matters. If you are viewing a small image on the web you may not be able to tell if a Canon "L" lens was used or not. If you do a zoomed-in, side-by-side comparison between a cheap lens and an L lens, you may be able to notice differences, particularly with sharpness. 2. How cheap the camera is matters. Early on in digital photography land, sensors were a big factor in image quality. In 1981, the sensor of the Sony Mavica was 300,000 pixels. That's only 1/3 of a megapixel, not enough to get a good photo with any lens for sure. It's a bit subjective, but within the last several years, even with high-end, point and shoot cameras, sensors are so good now that the lenses have become the differences in image quality. 3. The type of lens matters. 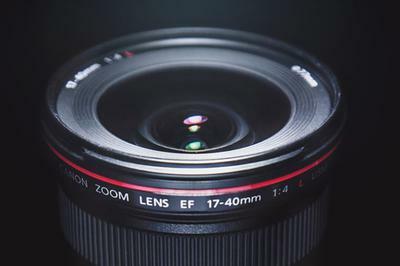 Average quality prime lenses (lens that are a single focal length and don't zoom) are much sharper, have less distortion, and very little chromatic aberration, compared to a wide-range, zooming L lens. 4. Your preferences matter the most.If you're shooting photos with a cheap camera to post on Facebook or share via email, save your money and stick with an average lens. If image quality is important, you have a good quality Canon DSLR, you're entering a photo contest, or you want to print something nice to display in your home, then invest in a Canon L lens and you'll enjoy its performance with your current camera, as well as an upgraded Canon camera in the future. "Does the EF 135mm f/2L USM Lens have Image Stabilization built in?" Thanks for your question about the Canon 135mm f/2.0 Lens. It's one of the most affordable "L" lenses you can buy and has remarkable sharpness at f/2.8 and above. No, this lens does not have IS (image stabilization). The good news though is that you can shoot at a real fast f/2.0 or f/2.8 and get a decent shutter speed in most lighting situations to get sharp images. "Are there older versions on the Canon 24-105 f/4 that I need to worry about? I'm looking for the cheapest one I can find and want to be a aware of any bugs. 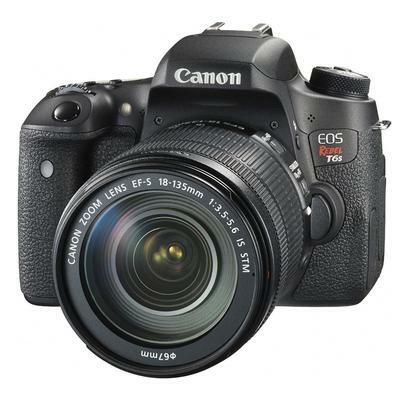 My camera is an EOS 77D." 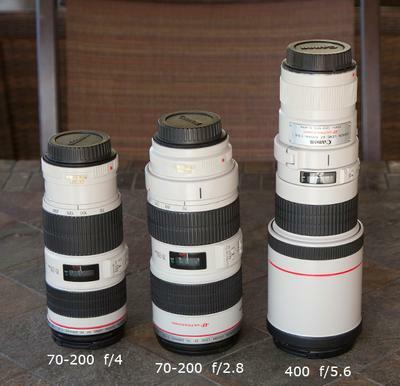 Thanks for your questions about comparison of Canon 24-105mm lens versions. I've been using two of the "old" version (2005) for years and have no complaints. You won't have any compatibility issues at all with your 77D-great camera, by the way. 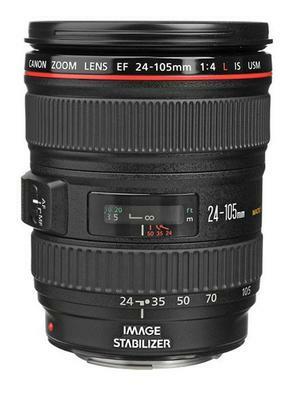 The newer Canon EF 24-105mm f/4L IS II USM Lens came out in 2016 and does have significant improvements (and a high price tag) that will work well with your 77D. Version II has less vignetting, reduced distortion and flare, as well as a 4-stop image stabilization. Realize that the 77D is a "Crop sensor" camera and a 24-105 EF lens will have a comparable view to a 38-168 lens on a full frame camera. 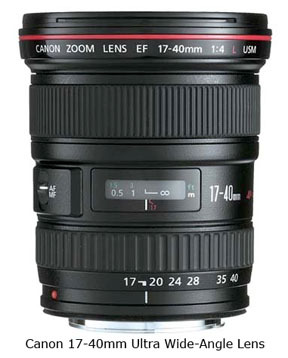 Curious if you considered an 18-135mm lens for your 77D. Very affordable and a wide zoom range. "I want to buy macro lens for my canon 30d- i'm a zoomer- which kit is the best to buy, there's so many to choose." 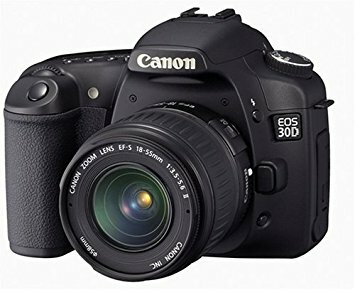 Thanks for your question about a good macro lens for your Canon 30D. It sounds like you've done some research already because you know how many choices there are. Can you give me a little more information on what type of macro photography photo you will be doing and if you have a budget in mind? Are you committed to staying with a Canon lens or are you open to the idea of getting a macro lens that's not made by Canon but is fully compatible? Your 30D is more than 10 years old, so I wouldn't think you want to sink a lot of money into a brand new, pricey macro lens.